Morrill Hall, the longest serving structure on the University of Maryland campus, has many stories to tell. The story of the Maryland Population Research Center now becomes part of that time-honored fabric. Through the foresight and commitment of the School of Behavioral and Social Sciences and then Dean John Townshend, the Center was moved to quarters comprising the entire second floor and one quarter of the third floor of Morrill Hall, located at the center of the traditional Maryland campus just up the hill from the Memorial Chapel and between Tydings and Lefrak halls. MPRC Seminars will be held mainly on the first floor, in 1101 Morrill, the Morrill Hall conference room. The third floor of Morrill Hall houses the MPRC Computing Core. We have enlarged and improved the Secure Data Laboratory to include six workstations. As before, researchers can access restricted datasets including AddHealth, NSLY ’79 and ’97, PSID, and other restricted data as needed, on a project-by-project basis. A “breakout” space for collaborative meetings is also available in this Computing-Core quadrant. 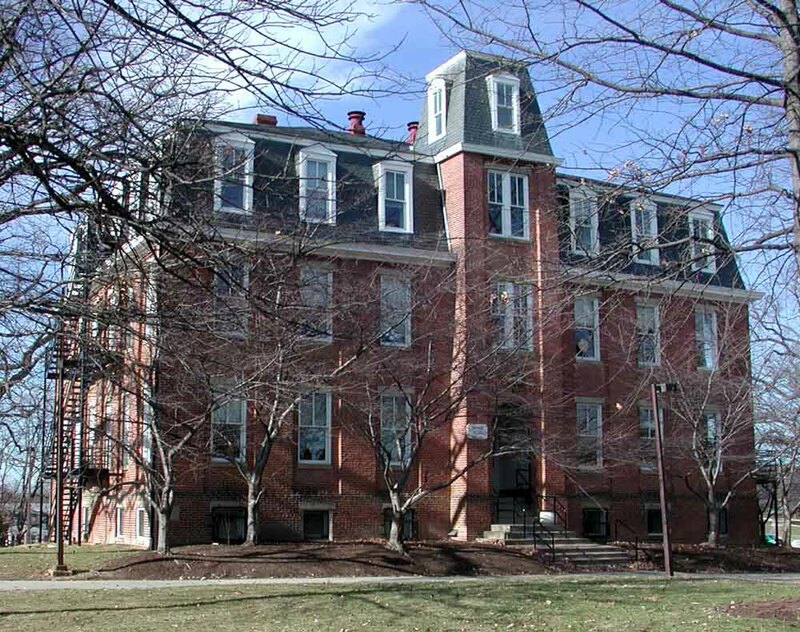 The second floor of Morrill Hall houses the Administrative and Information Cores, in the 2105 quadrant and part of the 2101 quadrant. Of special interest may be a dedicated conference room capable of seating 8-10 persons and housing a new state-of-the-art teleconferencing facility with internet access and full video conferencing resources. MPRC Working Groups and individual project meetings will be held in this space, and an electronic system will be available to make reservations. Also in the 2101 quadrant are two flexible individual workspace tables and a small-but-mighty kitchen with a large refrigerator (no freezer), microwave, and toaster oven, available to all MPRC building users. The 2102 quadrant consists of three rooms with a total of 13 workstation or laptop work spaces and a table for collaborative meetings. 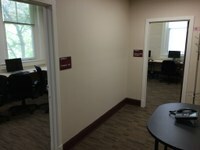 The flexible work spaces in this quadrant are designed mainly with Student Research Affiliates in mind, and one of the two 5-person rooms is so labeled. Because these work stations cannot be reserved, lockers are provided for storing personal and work items that would otherwise have been kept in desk drawers or cabinets [Request a locker]. The second of the two 5-person flexible work space rooms in this quadrant, the Computer Lab, contains machines with specialized software such as SAS, Stata, Atlas-ti, and ArcGIS. We anticipate that Student Research Affiliates, members of the MPRC community with needs for such software, and overflow flexible-space users will take advantage of this space. While work stations are provided, there is also room for use of your laptop. 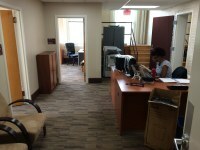 An additional room in this quadrant contains three dedicated work desks for Graduate Assistants working on projects funded through MPRC and a small table for “breakout” collaborative meetings. The 2106 quadrant includes printing facilities, one or more flexible workspace desks, and dedicated workspaces and offices for Graduate Research Assistants and MPRC research scientists and visiting researchers. These facilities will be available 24-hours-per-day for currently active Faculty Associates and Student Research Affiliates. As part of maintaining active status, Student Research Affiliates will be expected to attend at least two MPRC seminars per semester. All of the services you’ve come to expect from MPRC are up and running. As always, programming assistance is available by appointment for statistical and mathematical packages such as SAS, Stata, Matlab, Mathematica, MPI and Parallel Computing. Four-week courses in SAS, Stata, and ArcGIS will continue be offered using state-of-the-art training facilities in Lefrak Hall. Center staff are working on several grant proposals over the summer and are available to work with you on your plans to secure funding. Likewise, we are helping to set up access to dedicated server space and, if needed, high-performance computing resources to support statistical research. As usual, we provide guidance on knowledge management and support for report building, press releases, graphics development, and website development / maintenance. MPRC is open from 8:00 a.m. to 5:00 p.m. daily, and Associates and Student Affiliates will have access 24-hours-per-day via card swipe of your university ID. We look forward to seeing you in our new space.